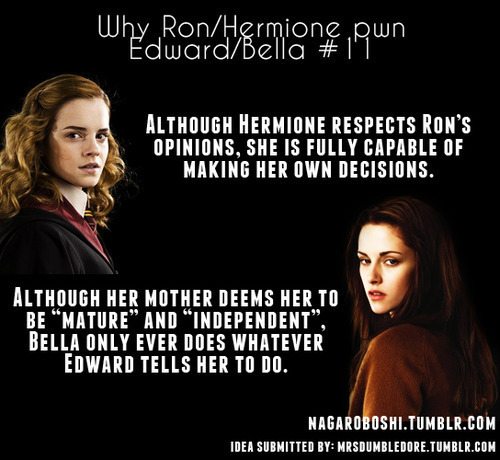 Reason 11. . Wallpaper and background images in the Harry Potter vs Twilight club tagged: hermione granger bella swan. This Harry Potter vs Twilight photo might contain portrait, headshot, gros plan, closeup, anime, bande dessinée, manga, and dessin animé. I'm pretty sure she defied him a lot. Yes she does, TTH, don`t be dumb.